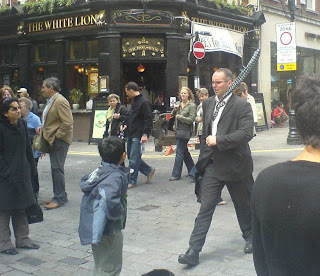 Above : London was very warm – but with heavy rain at times! 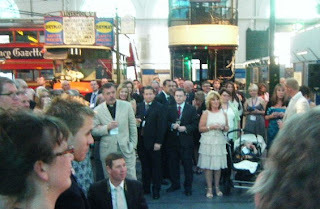 Above : My Institute’s Annual Reception was at the London Transport Museum – a great night had by all! 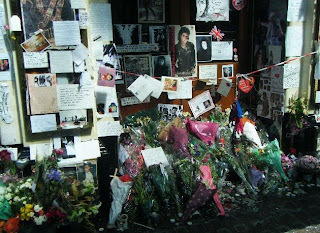 Above : Michael Jackson Tributes outside the Lyric Theatre in Shaftesbury Avenue – the tributes were very moving. I got back to Scotland on a flight from Luton, getting me in to Edinburgh at 5.30pm tonight. 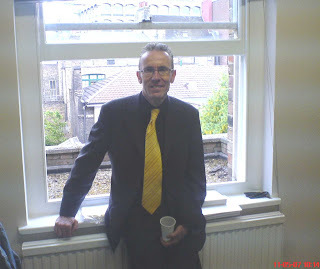 I made it to the Logie Residents’ Association AGM at 7pm at the Lime Street Sheltered Lounge, with 5 minutes to spare. A good, well-attended meeting. I updated the meeting on the digital TV switchover and TV reception issues in the West End. Last night’s “Evening Telegraph” and this morning’s “Courier” covered the success of the City Council’s new Rapid Rhino repairs system for potholes in the city’s roads (click on headline to view the Tele’s article). 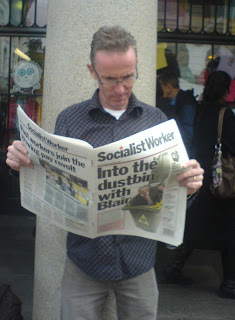 I have also been interviewed by Radio Tay on the subject. I certainly believe that, over time, this system will make a real difference to the quali ty of road surfaces in Dundee. On another matter entirely, I have become an avid viewer of Masterchef, an obvious programme for one so ungifted in any kitchen (can’t co-ordinate boiling the kettle for a cup of tea and producing a slice of toast). Anyway, was good to see the dinner party on Masterchef at the former home of Charles Dickens (now a museum) in Doughty Street, London, last week. The museum is right next door to the HQ of the Institute I work for in my “day job” (and you briefly saw its front door on the programme!) 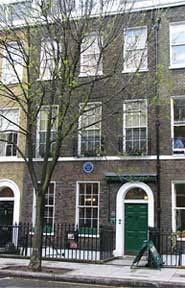 The Dickens Museum has a virtual tour at http://www.dickensmuseum.com/vtour/. 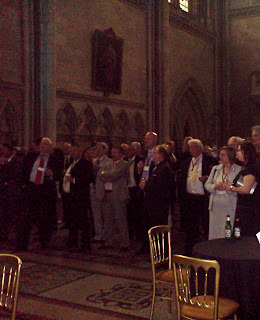 I have been away with the “day job” to London for the past few days – photo (left) is of part of my employers’ Annual Reception at the very impressive Royal Courts of Justice in the Strand. Whilst I was away, the Evening Telegraph phoned me about residents’ concerns at the state of the former Wimberley Student Halls of Residence – click on headline to view the story. I have been in touch with the Secretary to the University of Dundee about the situation and have been assured that the University is actively marketing the site. Clearly, residents rightly want to see progress in terms of having the boarded up buildings eyesore removed as soon as possible. 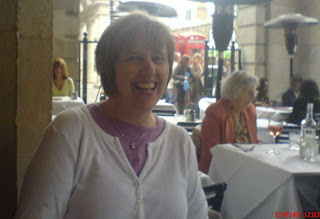 I had a “day job” event to attend in London on Friday so Janet and I made a bit of a weekend of it and we are just back (having caught the flight back to Edinburgh by the skin of our teeth this morning!) We had a great time, so as a bit of light relief from politics and all that, here’s a few photos! Above : Me at Institute HQ on Friday. 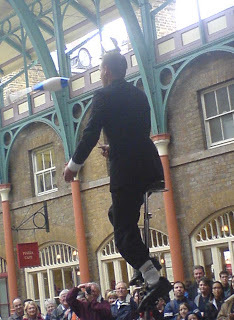 Above : Spectacular stunts at Covent Garden! 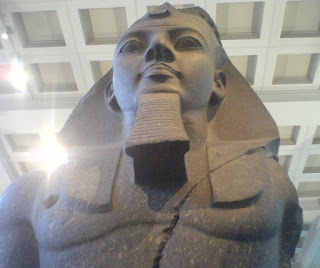 Above : Just exactly how this bloke manages to keep so still for so long defies me! Above : Janet about to have yet another fantastic meal! 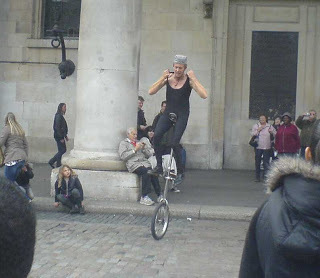 Above : More from Covent Garden; this bloke was really impressive and entertaining. Currently sitting in London City Airport (having spent the last two days on “day job” business in London) – awaiting the ScotAirways flight to Dundee – 135 e-mails to get through, so next update tomorrow!